Thomas Quality Construction is a family owned and operated company. Thomas Quality Construction was established in 2001 by Gary Thomas, who had a passion for construction and had spent his earlier career in the commercial industry before branching out on his own. After graduating from the University of Kentucky in 2012, Gary’s eldest son, Mathew Thomas, joined the business. In 2014, Gary’s other son, Tyler Thomas, joined the business after attending Eastern Kentucky University. Today, Mathew and Tyler run the daily operations. Thomas Quality Construction has built the business on one simple principle: Do unto others as you would have them do unto you. Since 2001, we have worked endlessly with the mission in mind to provide quality craftsmanship to our customers. Thus, our name: Thomas Quality Construction. 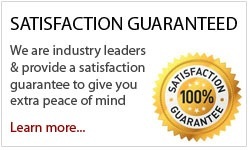 We take pride in being industry leaders and we provide 100% customer satisfaction, guaranteed. We offer diversified services and unvarying quality throughout Central Kentucky with emphasis on customer service. We offer time tested and proven professional craftsmanship with an industry leading guarantee. Specializing in roofing and construction, Thomas Quality Construction has all residential and commercial needs covered under one roof. We are appropriately licensed, insured and bonded. We also have a significant number of manufacturer training certifications and endorsements, which are our commitment to our customers and their projects. Thomas Quality Construction has a time-proven track record. We offer the finest quality materials combined with a high degree of professional service. We are committed to serving the needs of our clients. A testament of that commitment is our repeat business. Our goal is to enhance your quality of life or your business’ success by providing quality craftsmanship at affordable prices, which results in satisfied customers. We look forward to the opportunity of working with you.